Predictions of the Rapture came and went with nary a plague — not even locusts! — but that doesn’t mean homeowners should lower their guard just yet. This Halloween, the wise would do well to safeguard their homes from that constant threat to suburban bliss, that scourge of middle America — zombie home invasion. From George A. Romero’s flat-footed lurchers to the terrifyingly agile runners of “28 Days Later,” there’s a slew of potential undead visitors that cautious homeowners can protect against this All Hallow’s Eve. Get a crash course on zombie-proofing your home in the gallery below from This Old House. 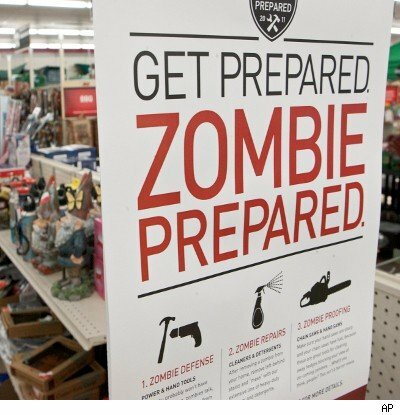 Come hell or high water, this guide may be your best source for the impending zombie apocalypse. Don’t believe us? Just ask the Centers for Disease Control. If the slew of recent TV shows, movies, and books are any indication, zombies are everywhere these days. So whether they’re fast, slow, or riddled with rigor mortis, here’s a step-by-step guide to keeping the undead out of your house. Be sure to check out all 18 tips! Younger buyers no longer see green home options as an added bonus- they’re a must. Energy efficient windows and appliances and even solar panels are high on the list of demands. High-tech is a priority. Nearly 2/3 of Millenials surveyed said they wouldn’t consider a home that isn’t tech-friendly. That includes everything from security systems to home theaters. Younger buyers want spaces they can utilize for multiple purposes. While many Millenial home buyers aren’t even married when they start home shopping, space that has potential to eventually be a nursery while currently serving as a game room or home gym is high on the list of wants. Younger buyers want the ability for their home to evolve along with their lifestyles. Smaller living spaces appeal to younger buyers as more efficient and more manageable. Younger buyers are also trending towards one story homes. Millenials consider formal, separate spaces a waste of living space. Large great rooms easily serviced from the kitchen are far more desirable than formal living or dining rooms. According to ERA Real Estate’s Home Buyer Trends, younger buyers are not interested in fixer-uppers. Millenials are looking for spaces that are easy to maintain and will not occupy a lot of their time. Although Americans plan to carve away at their Halloween budget this year — spending an average $75.03, about $5 less than last year, according to the National Retail Federation — overall, spending on Halloween has increased 54.7 percent since 2005. In 2013, Americans are estimated to spend $6.9 billion on décor, costumes, and candy. 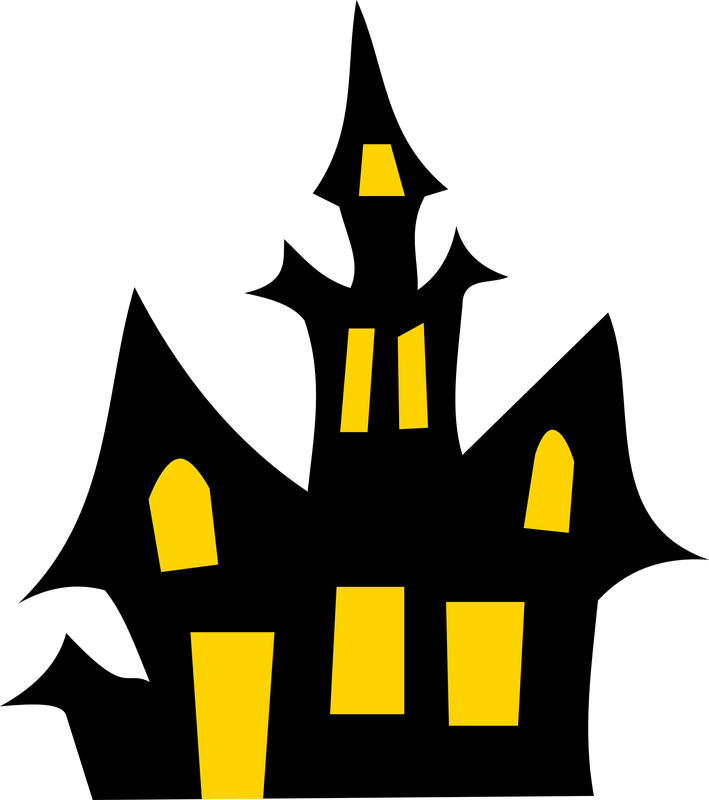 With so much invested, it’s a good thing homeowners insurance covers common Halloween mishaps. 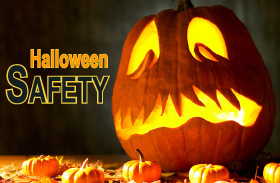 If everything on this list of Halloween home horrors occurred, your umbrella insurance would kick in to cover costs — if you have it. Turn on your outdoor lighting so kids can see where they’re going. The Big Question: Renovate or Rebuild? The housing stock is getting older in many parts of the country, and more home owners are facing the need to make drastic upgrades. In some cases, home owners are facing an even bigger decision, such as whether to tear down and rebuild a new home. The following infographic from Blu Homes, a builder of prefab green homes, provides information to help home owners reach a cost-effective decision on whether to renovate or rebuild, including even how to recycle your old home and ways to incorporate green features too. According to HousingWire, housing demand from move-up buyers — or existing homeowners selling their current properties to replace them with a more expensive home — is on the rise as home equity levels improve. As home prices continue to increase, so does demand from move-up buyers, who are now able to provide a substantial down payment on a new home after gaining value on rising equity, the latest report from real estate data firm FNC revealed. “An important sign of a healthy and sustainable recovery is increased housing turnover driven by trade-up buying, which is more or less discretionary spending,” FNC Director of Research Yanling Mayer said. “These buyers are typically more responsive to market conditions and financial incentives,” she added. Much of the desire for move-up buyers lies behind rising mortgage rates. “They know if they don’t move now, they might be kicking themselves all over again in three months,” said Redfin Los Angeles real estate agent Eric Tan back in July, when rates were throttling upward. Historically, rates remain very low, but experts predict they will continue to gain steam as we move into 2014. According to Daren Blomquist, vice president of RealtyTrac, 18.5 million homeowners — 40% of all homeowners — have at least 20% equity or more, putting them in a prime position to sell. “In addition, we show 8.3 million homeowners who are on the equity fence, and should have at least 20% equity in the next 15 months if home prices continue to appreciate at the same rate we’ve seen over the past 15 months,” Blomquist said in an interview with HousingWire. Blomquist noted that if 5% of these 8.3 million homeowners list their homes for sale, that’s an additional 415,000 homes that will be available for sale in the coming months. Buyers Say They Want This in their Home’s Kitchen…. Who is Berkshire Hathaway HomeServices? On December 10th, our company will be adopting the new Berkshire Hathaway HomeServices brand. We are excited to begin this new chapter for our company and this conversion will bring many advantages for our agents and their clients. This year, we also celebrate 50 years of serving the needs of our clients in the Greater Metro Atlanta area. During that time, we have operated as Crest Realty, Merrill Lynch Realty, Prudential Atlanta Realty and Prudential Georgia Realty. Though the name has changed, our commitment to deliver exceptional real estate services has not. In the last five years, our company has been consistently ranked as the #1 real estate company in metro Atlanta with more homes sold than any other brokerage. According to the Forbes Global 2000 list, Berkshire Hathaway is the 8th largest public company in the world. The company is led by Chairman and CEO Warren Buffett who is often referred to as “the Oracle of Omaha” for his keen insight on business matters. The Berkshire Hathaway approach is to acquire companies with great brands, great products, and strong leadership, then grow and build value over long periods of time. Berkshire Hathaway owns and operates approximately 100 companies and employs approximately 300,000 people. Company holdings include major brands like GEICO, Fruit of the Loom, Dairy Queen, Benjamin Moore, Helzberg Diamonds, NetJets, Heinz, MidAmerican Energy, and Shaw Industries, which is located in Dalton, Georgia. Berkshire Hathaway has major stock positions in companies like Wells Fargo (8.7%), American Express (13.7%), IBM (6%) and Coca-Cola (8.9%). Berkshire Hathaway was named the No. 1 company in Barron’s annual ranking of the world’s 100 most respected companies. Being part of such a large and successful organization gives us many advantages. For example, our listing clients will benefit from an unprecedented level of exposure. Look for more details and exciting news as we move closer to our big announcement on December 10th. Many sellers have a routine for showings that involves making beds, opening blinds, etc. And most sellers are more than aware of the value of curb appeal. But home stager and real estate agent, Sabine H. Schoenberg, reminds sellers of the importance of what she calls the “windshield effect”. More and more buyers act independently- researching properties on line and doing a drive-by of potential properties and neighborhoods long before they ever tell their agents they’d like to see a particular listing. Your home’s windshield effect could be costing you. As Schoenberg writes in her blog, “By the time buyers enter a home they already formed opinions. They already have emotional imprints and reactions. The property, including your seller’s “stuff” spread around the outside of the home, gives them clues about the sellers and, most importantly, their motivation for sale. I always tell my client sellers: Daily living and presenting a home are two very different experiences. We are all bound by our habits. However, a buyer sees a home for the first time with fresh eyes and as a visitor. • What story does your home tell a visitor right now? What story do your home want it to tell? • When you drive up to your house, what do you see? Overgrown shrubs or a landscape, which draws your eye right to the front door? • Where do visitors park, and how do they get from there to the entrance? Is it in front of your house, to the side, in front of a garage? What makes the walk from the car to the entrance enjoyable? Are surfaces, handrails, and steps safe and secure? • What kind of items are scattered around your house at any given day? Do visitors have to walk past garbage or recycling cans since pick up occurred that day? Are kids toys strewn all over the front yard? Are their “gifts” from your pets on the lawn? If the listing shows a sprinkler system, for example, do not have a sprinkler hose hanging out on the front lawn? • Is your house nicely lit at night? Good lighting adds a romantic side to your home. Buyers who are contemplating a purchase might just be doing an evening drive by for a bit of dreaming – let them fall in love! Today’s buyers are independent. Many drive by a home before having the real estate agent even arrange for a showing. Your home and property have to be in “show condition” 24/7 – NOT JUST made ready for a showing. 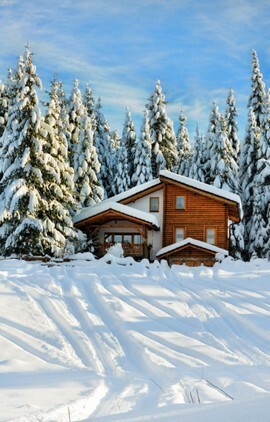 There are a number of ways you can reduce energy costs this winter. You can wait until November or December to turn on your home’s heat. You can keep your thermostat set to a chilly 68 degrees or lower. But you want to save money and be comfortable, right? That’s when weatherizing your home can help. Don’t suffer or walk around in a sweater all year in your own home. Follow these six weatherization tips to help your home hold in the heat you do use, keep you warm and toasty and reduce your energy bills. Reduce drafts around windows and doors by adding weatherstripping or caulking around poorly sealed doors and windows. Better yet, replace your entire window and frame with a new, energy efficient model. Use a plastic sealant that goes over windows (like shrink-wrap) to reduce your window’s U-Factor (the window’s insulation quality). These weatherizing kits are inexpensive enough to purchase at your local big box retailer or home improvement store but, in a pinch, you can even use bubble wrap. Minimize drafts through electrical outlets and light switches, especially those on outer walls, with foam gaskets. These pieces of foam, sold in many weatherizing kits, are easy to install. Just unscrew the plate, place the foam inside and replace the plate.